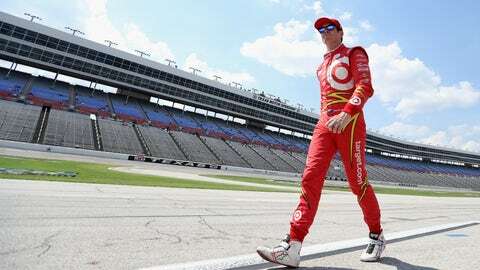 Four-time IndyCar champion Scott Dixon has confirmed that he’ll represent Chip Ganassi Racing in this year’s 24 Hours of Le Mans sportscar endurance race. Scott Dixon has won four Verizon IndyCar Series championships and two Rolex 24 at Daytonas, but there’s still one thing he’s chasing: the 24 Hours of Le Mans. So in 2017 he’ll be returning to the world’s premier endurance race. This year will be Dixon’s second attempt at the day-long sportscar endurance race. He made his Le Mans debut in 2016 as Ganassi launched its Ford GT program. Co-driving alongside sportscar veteran Richard Westbrook and former IndyCar driver Ryan Briscoe, Dixon finished third in the GTE Pro class and 20th overall. He re-teamed with Westbrook and Briscoe for last month’s Rolex 24 at Daytona, the American counterpart to Le Mans. Dixon’s shot at a third overall victory was hamstrung after Briscoe hit the wall in the No. 67 CGR Ford GT, and the team finished 27th overall and tenth in the GT Le Mans class. Dixon will partner with Westbrook and Briscoe again when he returns to France, as the entry list for the 24 Hours of Le Mans was also released on Thursday. He’s clearly proven himself to be a reliable part of Ganassi’s sportscar program, and given all that Dixon has accomplished in his racing career, it would be ridiculous if he wasn’t part of the team’s effort on the world’s biggest sportscar stage. But before he can make another attempt at Le Mans his attention will be on competing for a fifth Verizon IndyCar Series championship. The IndyCar season begins on March 12, and Dixon’s day job looks a lot different now. Ganassi switched manufacturers from Chevrolet back to Honda in the offseason, and longtime primary sponsor Target ended its backing of the No. 9 car. A new primary sponsor for Dixon’s car has yet to be announced. The 2017 24 Hours of Le Mans is scheduled for June 17-18 from Le Mans, France. What do you think of Scott Dixon returning for his second Le Mans? Let us know in the comments.